Cortona OTM is delighted to promote the work and passionate dedication of professional and emerging photographers alike. Our HAPPINESS ON THE MOVE international competition is a very important vehicle for this purpose. Organised in partnership with the Consorzio Vino Chianti, the competition calls for photographic works whose principal theme is ‘happiness’. From April 16th you can send in your projects for the international Happiness On The Move competition. The closing date for applications is May 31th. The winner of this competition, selected by an international jury of editors and photo editors, will receive a prize of 4,000 euros in cash, financed by the Consorzio Vino Chianti, while the winning project will be put on show in the following year’s edition of Cortona OTM. There is no charge for entering the competition which is open to all photographers, irrespective of age or nationality. You can take part in both HAPPINESS ON THE MOVE and OFF CIRCUIT as long as you enter with two entirely different projects. 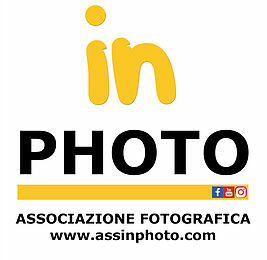 Award, Concorso, cortona, cortonaonthemove, fotografia, MU.SA. ← Ma chi era Luigi Ghirri? Fotografie e poetica.